LED (light emitting diode) is a lighting technology that is gaining popularity with time. As this is the case, it is quite easy to come across a number of LED based lighting systems. For instance, camping lights’ manufacturers have started embracing this type of technology. 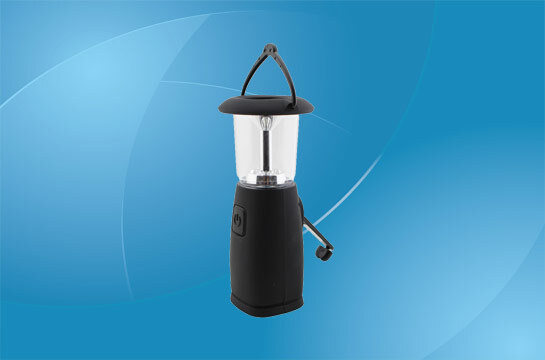 A typical camping light using LED technology has several characteristics. 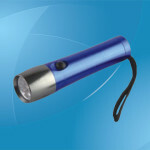 Brightness is one of the characteristics found with LED camping lights. Although they are quite small, they are bright and can provide sufficient lighting during the night or when need arises. They normally use LED that puts out 85 lumens, and can burn for 10 – 20 hours depending on the number of batteries it uses. 85 lumens is the same brightness that is provided with a normal 60 watt bulb. This level of brightness can adequately light up a tent. Construction of most LED camping lights is done using anodized aluminum with rubber end caps. There are two main types of lights; those that use a single LED bulb and those that use several LED bulbs. Those that are made up of several bulbs have a higher light output than those that use a single bulb. Weight is an important factor in any item used for camping. As this is the case, most camping lights have been constructed in the lightest way possible. They will weigh less than one and a half pounds with most of them weighing one pound. Portability is also taken into consideration during construction. They are compact in size with a good number being able to fit comfortably in a travel bag. Power consumption is at a minimal making LED camping lights efficient. Some may use AA and others use other size batteries. Lights that use rechargeable batteries are the best as they are more cost effective. Some of the larger lights have additional capabilities like charging portable devices such as mobile phones. They will also have an option of recharging the lantern using solar energy. This means that a camper who has run out of batteries and cannot get to a power outlet will still have light. Propane camping lights are not as efficient as those made from LED for several reasons. For example, a propane canister will run out sooner than batteries. Most LED camping lanterns have their batteries inserted on their base. The base has an O-ring seal which is mainly for weather resistance. It is made using heavy duty plastic without any metal parts to prevent rusting. Since camping is normally done away from civilization, it is always helpful to have some extra gadgets that can assist during an emergency. There are LED camping lights that have a siren on them. Such a device is important as it can be used when a camper is in distress. It can also be used to signal other campers of an impeding danger. Most sirens of this nature can be heard as far as half a mile away. Their range is longer during the night because it is rather quiet at this time. Water resistant is another characteristic of LED camping lights. Although they are made from plastic or anodized aluminum, they will have rubber caps and seals on any area that water can seep in through. This does not mean that they can survive under water for long. The construction is made to resist accidental falling into a river or water source. The whole point of making the lights water resistant is to prevent them from going off when they are used in the rain. Safety is another characteristic of LED camping lights. Propane based lights are not safe and should never be used around kids. This is attributed to the fact that they get hot with time and when left around kids, they can injure them. Propane is also highly flammable and a lantern can cause a fire if it falls or gets damaged. LED lights do not possess any of these characteristics making them the safest lights to use on a camping trip. Lastly, some LED camping lanterns have a hanging mechanism. It can be used inside the tent without having to find a suitable area for it. When the light is hanged, it provides adequate lighting within a tent. Hanging the light gives a user the option of using both their hands when the need arises or when they are simply tired of holding up the lantern.